Welcome to the Career Academy of Cosmetology! The San Joaquin County Office of Education's program is accredited through COE and prepares its students to enter the workforce as talented and well-trained licensed cosmetologists. 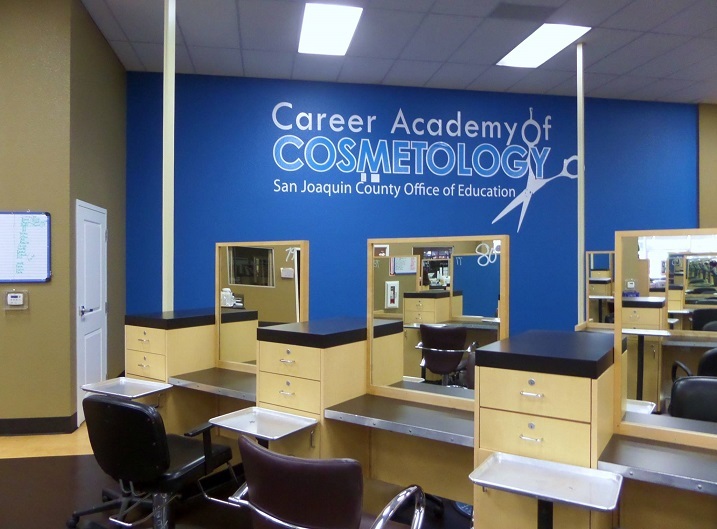 SJCOE Career Academy of cosmetology is accredited through COE and prepares students to take the State Board Exam. The program also offers certificates of completion, hands on training, and internships at local businesses. We offer flexible payment plans and affordable tuition.